By becoming a member of HTI’s hockey family players are given the opportunity to live, train and study as full-time student-athletes, with our staff members committed to guiding and encouraging them on their way to excellence. Our players compete against the top level of competition in Canada and the U.S., while getting scouted by NCAA and CIS coaches. Being represented as a ‘Hockey School’ enables us to have players from around the world and we value the international component in our program. 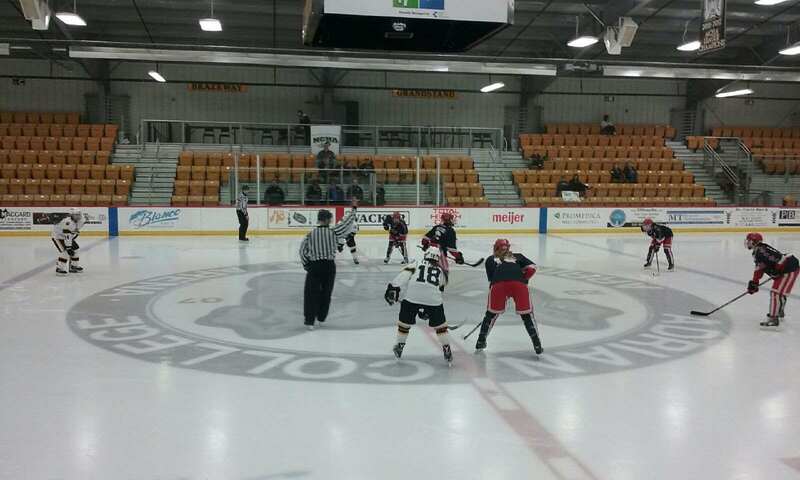 We have the flexibility of setting up our own schedule, which includes elite tournaments in North America and games against Girls Junior (U19 AA) teams, Canadian and U.S. Prep Schools, as well as NCAA (US College) and CIS (Canadian University) teams. The Stars compete in a 45-50 game schedule across North America. 4-5 weekly on-ice practices based around player development and backed up by years of experience of our professional coaching staff. We strive to provide the best environment for rapid improvement through hundreds of hours of skill oriented drills. 70-80% of our practices are dedicated to skill development. We prepare our players to move on to the higher levels of hockey, where team play, systems and understanding of the game is vital. The remaining 20-30% of our ice time is spent developing our players’ on-ice intelligence and systematic discipline through game situation drills and positional team work. We also take time for personal ‘1on 1’ development to fine-tune players’ personal needs. Off-ice training is a vital component to the players’ success on the ice. At HTI we put a lot of effort into making our players into well-rounded athletes. Strength, Power, Endurance, Speed, Agility, Coordination and Flexibility, as well as Mental Toughness, are all important components of being a well-rounded athlete and at HTI they are developed on daily basis. HTI’s weight room is located on the lower floor of our residential facility and is used daily (sometimes twice a day) for team workouts and it is also available for players to use on their free time. A professional fitness coach will guide players through proper workout techniques and be there to set up a personal program for the player’s specific needs (i.e. weight loss, muscle weight gain, agility improvement, etc. ), as well as explain the value of a nutritional diet. The ‘Shooting Lanes’ on the academy property are also a big part of our training, possibly one of the most important ones! It is hard to spend enough time on the ice working on the player’s shot, as it needs to be done almost daily, so the shooting lanes there to work on it off-ice. The team will also make use of the athletic facilities at the nearby Base Borden (Canadian Military Base) with a Swimming Pool, Sauna, Running Track, Yoga Classes and Spinning Classes, as well as Basketball and Ball Hockey Courts. Video is the coach’s friend. This is where the coaches can catch up on the team systems and review team play as well as any given player’s positional play. Our Video Room is used quite a bit and is great development tool. Besides reviewing game footage, we also take advantage of using video for personal skill development. It has helped many players to figure out their skating technique, or to see where their shot might be improved. Being a student-athlete is not an easy task, which besides the toughest physical load, comes with a lot of mental pressure. Performance on the ice, school work, relationships with teammates (peer pressure) and coaches, while also dealing with homesickness are some of the hurdles players often have to overcome. Most of the players at HTI come from different parts of Canada, U.S. and other countries in the world. It is often an adjustment to life style, making new friends, getting used to a much tougher training schedule, than most are used to and our coaching staff, the teachers and the supporting staff are there to help make that transition as easy as possible. Every student-athlete is different and requires a personal approach. Having personal meetings with players on regular basis helps establish a relationship in which players can feel comfortable discussing their issues, be it hockey related, school related, or personal. Being a confident person, helps being a confident player. Many skilled players do not perform to their potential, if they lack confidence. It is our goal to encourage players to be their best and help them develop the mental toughness needed for their success in hockey, university and in life.